Step Away From the Slide Deck! You've finally managed to book a meeting with a business decision maker. It’s understandable that the meeting, and the thoughts of presenting your company's products or services, might make you nervous. To increase the effectiveness of your customer meetings, skip the slide deck and focus on meaningful conversation. When you’re worried about presenting your product or service effectively to your customer, it’s natural to want to use a slide deck to structure your thoughts, but it’s the last thing you should do. One company where I worked had a great meeting room that consisted of four cushy leather chairs and a coffee table. This was my favourite room to meet with vendors. In fact, I often scheduled vendor 'meet and greets' around the availability of that room. The beauty of the room was that the layout of the room made it very difficult for a vendor to rely on a slide deck. Sometimes my strategy worked well. The person I was meeting would sit down and we would have a meaningful conversation. Other times the unusual setup of the room would result in a farcical moment when the sales representative would look at the coffee table, look at me, look at the wall (for an outlet), sigh, dig out the laptop and power cord, move furniture to plug the laptop into the wall, run the power cord (barely) to the coffee table, open up the laptop, and start reading slides to me. At that point, I would usually say, “how about we just talk?”. As a representative of a product or service, you must know exactly what you have to offer. Know it cold. And be able to explain the highlights without a slide deck. If you are not able to speak to the key features and benefits of your product or service without referring to a slide deck, you are either unprepared or unsuited to the business development role. Take your cue from the office environment. Comfortable chairs are more suited to conversation than presentation. What so many business development representatives fail to realize is that their role is to question and listen rather than to tell. When leaders recruit sales people, however, they often use personality type indicators that prioritize dominance rather than teaming ability. They look for the “closers”. Those who are assertive enough to ask for the business. 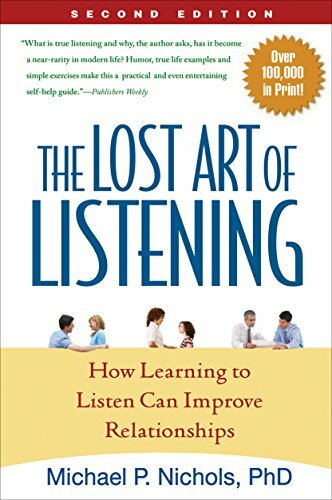 It's much better to put the emphasis on listening skills. The ability to ask open questions and draw out needs is extremely valuable when building customer relationships. While the concept of listening to the customer is cliché, it is also practiced little in so many customer meetings. As a business development representative engaged in a customer meeting, your number one priority is to figure out what you can do for your customers. How can you help your customers solve their problems? Whether that involves selling them something is another story. It might be that you can refer a great article to them. Or you give them a tip about someone they might want to hire. Or you can refer them to someone else who can help them at present better than you can. You are putting money in the bank and someday it will be returned to you, with interest. 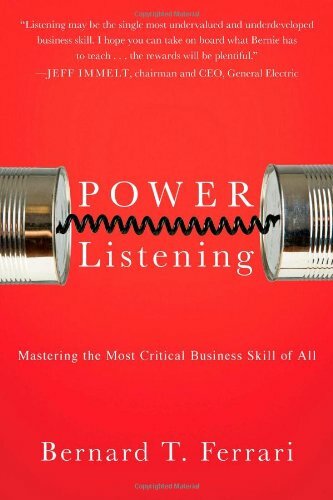 This is consultative selling 101, but so many business development representatives who come knocking on my door are much more interested in hearing the sound of their own voice than consulting with me about the challenges I am facing. Don’t be afraid of silence. Ask great questions. Let them sink in. Wait for the answers. Probe. Have a dialogue and wide-ranging discussion. You never know what you will learn. Help your customers to use the few precious moments when you are meeting to think differently about their needs. Some of my best ideas have come from great, collaborative sales meeting discussions. That doesn’t mean I have always bought the service on offer. Some sales discussions have taken years to come to fruition for my business development contacts. Sometimes they have actually moved to a different company by the time the stars have aligned and I have needed what they were offering. But the great dialogue from previous years made me trust them and want to do business. Stay positive. Do not ever talk negatively about anyone – a previous customer, a current customer, or a competitor. If you do speak negatively about someone, my first assumption as your customer is that you will do the same to me someday. You do not earn bonus points for slagging my competitors. Chances are I know and/or like some of them. Or I have worked for them. Don’t go there. Consider coffee. A more casual environment, provided it’s close to my office, is better for conversation. Ask me to coffee instead of booking me for a formal presentation. Leverage conferences. If you know I am attending an industry conference, try to set up a separate meeting with me. You will get more of my attention than when I am dealing with back-to-back meetings in the office. If I am senior I am probably less interested in the conference sessions than in doing business and meeting with vendors and exploring new opportunities. Talk to my team. In a dialogue, direct your questions and comments to everyone I bring to the meeting with me. Don’t just direct your comments to me because you see me as the decision-maker. The others are in the room for a reason, likely because they know more than I do about the topic at hand. I’m going to ask for their opinions after you leave. If you ignore them, I will hear about it and it won’t advance your cause. They’re likely the ones you will work with after any deal is done so start building relationships now. Keep it high level. Don’t give me too many details about your product or service at a first meeting unless I probe for them. If you can tell by my body language that you are losing my attention as you go through details, move on and stick to the high-level concepts. The time for details will come, but it may be with a different audience and at a later date. Be upfront about your pricing. My budget is often fixed. Let’s not waste each other’s time. I need to know whether we are on the same playing field before we invest too much time and effort in exploring the potential for a deal. Don’t interrupt me. Yes, I may talk too much, but I am trying to help you understand my needs so that you can find synergies with your product or service. Listen, nod, and probe further. When I meet with you I actually want to find some way to move my business forward. Once you understand my needs you have more opportunity to find ways to help. Follow up. If you promised to follow up after the sales meeting, even if it won’t earn you immediate money, make sure you do it. Otherwise, every time I think of you I will remember that you never followed through and that will make me less likely to trust you later. Connect with me on Linkedin. Send me a request right after our call so that I don’t forget who you are. I meet a lot of people as I am sure you do too. Use LinkedIn to give our brains a break. Do not treat me in a condescending manner. Don’t make assumptions about how much or little I know, especially based on my presumed age or experience. Don't belittle me even if I don't know as much as you do about the concepts you are addressing. Do not fabricate or exaggerate. I can tell when you are being evasive or not entirely truthful. It’s fine to say that your product or service doesn’t do something I would like. Don’t promise that it can if you know it can’t. I will remember and it will come back to bite you if we progress further into a business relationship. Successful customer sales meetings are grounded in open and insightful conversation. Use this meaningful dialogue to help your customers solve his or her problems and you will profit in the process.